New York Takeuchi is celebrating the start of Fall with super-low purchase, finance and lease deals on the brand new TS80R2 and TS80V2 skid steer loaders. If there was ever a time to buy or lease a brand new skid steer - the time is now! If you thought these powerful, rugged and ultra-reliable machines were out of your price range - think again! Owning a new Takeuchi TS80 skid steer has never been easier or more affordable. 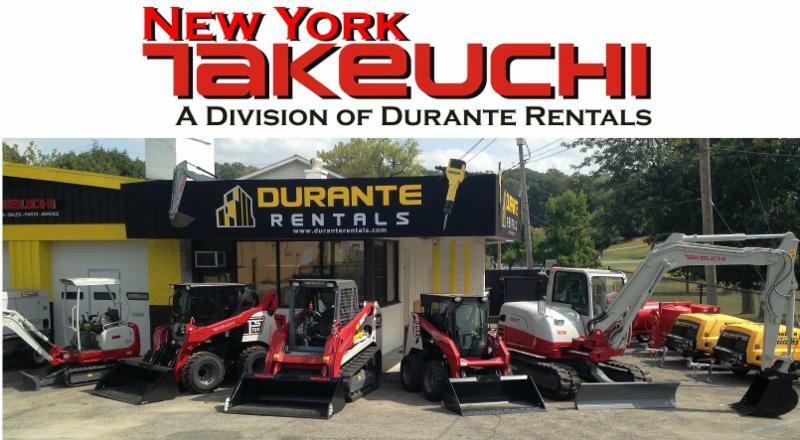 New York Takeuchi is looking to get everyone who walks into our showroom in one of these red and black beauties before the end of the month. 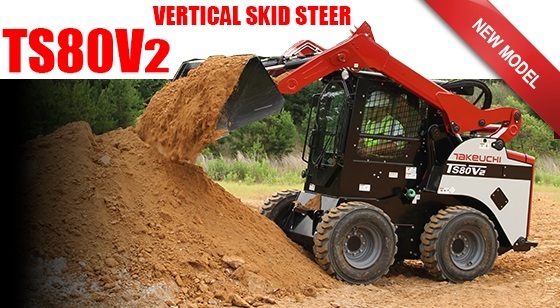 The new TS80V2 is a large frame skid steer built to complete the most demanding tasks. A new Deutz turbocharged engine delivers outstanding power, torque and reliability and features a maintenance free Diesel Oxidation Catalyst (DOC) exhaust system and centrally located service points to simplify maintenance and increase up-time. The vertical lift loader arrangement improves stability and is ideal for load and carry applications. The operator's station features a lower threshold for easy entry and exit, an updated multi-function liquid crystal display (LCD) that keeps you informed of machine functions and performance, and a new dial type throttle control. Low effort pilot controls are comfortable, precise, and low maintenance delivering consistent, reliable performance day in and day out. While a proportional slide switch control allows you to meter the flow of oil to a hydraulic attachment with ease and efficiency. For greater durability mechanical face seals are used in the axle pods keeping dirt, debris, and water out of critical components, and the purpose built uni-frame design ensures many years of service from your Takeuchi skid steer. The new TS80R2 is a large frame skid steer built to complete the most demanding tasks. A new Deutz turbocharged engine delivers outstanding power, torque and reliability and features a maintenance free Diesel Oxidation Catalyst (DOC) exhaust system and centrally located service points to simplify maintenance and increase up time. The radial lift loader arrangement is well suited for flat work and demolition applications, and it provides excellent mid height reach. The operator's station features a lower threshold for easy entry and exit, an updated multi-function liquid crystal display (LCD) that keeps you informed of machine functions and performance, and a new dial type throttle control. Low effort pilot controls are comfortable, precise, and low maintenance delivering consistent, reliable performance day in and day out. While a proportional slide switch control allows you to meter the flow of oil to a hydraulic attachment with ease and efficiency. 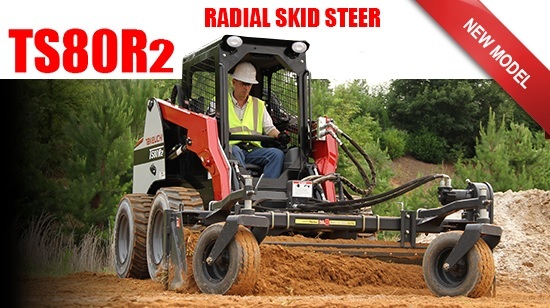 For greater durability mechanical face seals are used in the axle pods keeping dirt, debris, and water out of critical components, and the purpose built uni-frame design ensures many years of service from your Takeuchi skid steer. Our Fall celebration super deals will be gone faster than the Summer beach crowds so call us or stop by today! We also have some amazing deals on all our Takeuchi excavators, track loaders and wheel loaders. There's Never Been a Better Time to Buy, Finance or Lease a Brand New Takeuchi!